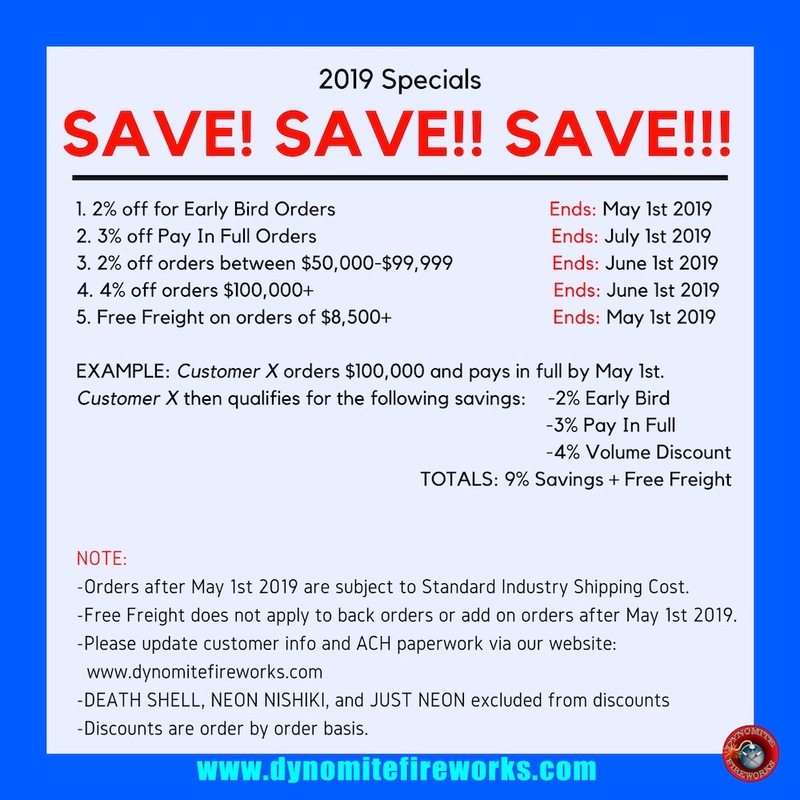 All customers must have an account with Dynomite Fireworks to view prices and submit orders. Once you have finished creating your account, you will have full access to our online catalog. You will be able to use your username and password to log in, build a cart, and submit quote requests. This form will only take a few minutes to fill out. Unfortunately, prices are currently only made available online to wholesale customers. If you would like to receive coupons and discounts on fireworks, access to special events, and more sign up for our newsletter below! How did you hear about Dynomite Fireworks? Your password will need to be "GOOD" or stronger to pass the password strength test. Try to add unique characters and capitalized letters and aim for at least 7 characters in your password.